They're a loving couple before the cameras, but are Barbie Hsu and Wang Xiaofei secretly facing marital woes? 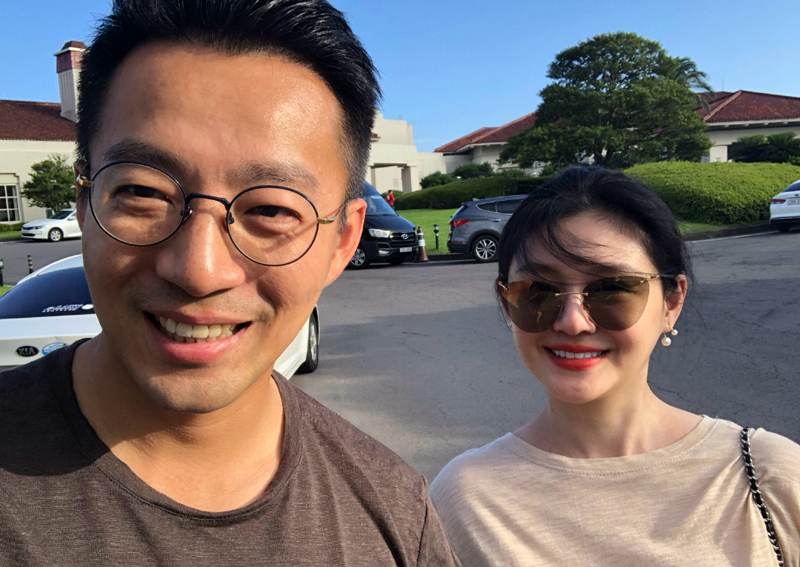 If Mirror Media's recent report is to be believed, the Taiwanese actress and Chinese businessman are on the brink of calling it quits after eight years of marriage. According to a source, the couple often bickered over money matters involving S Hotel, a boutique hotel Xiaofei opened in Taipei in 2016, named after his wife. Barbie's mother even stepped in to request that her daughter and son-in-law become financially independent, the source added. But she's denied claims of their rocky marriage in an interview with Apple Daily Taiwan. "Barbie and Xiaofei are not getting a divorce. It's common for couples to have the occasional disagreement. It is difficult to manage a long-distance marriage after all," she said. She revealed that the couple have actually been arguing over where their children are receiving their education. Their five-year-old daughter Xiyue and three-year-old son Xilin are currently schooling in Taipei while Xiaofei and his mother prefer to have the kids studying in Beijing. A day later, Barbie told Apple Daily, "Our marriage is stable." When asked whether she had arguments with her husband over their finances, the 42-year-old said, "I will not quarrel with anyone over money matters." "If I got angry with him, it's because he got rowdy after having drinks with clients, I didn't want him to wake the kids." In a Weibo post on the same day, Xiaofei expressed bewilderment at Taiwanese reports of his 'impending divorce' when he was making dumplings with his family at home. The 38-year-old jibed, "Our hotel is doing quite well, how about some promotion for our business this time next year?" On the couple's social media accounts, the doting dad, who is based in China, is often seen flying across the strait to spend time with his family. Last year, the couple pulled through the loss of their third child after a medical checkup found no fetal heartbeat.